Vince Clarke was a constant presence throughout the 1980s. 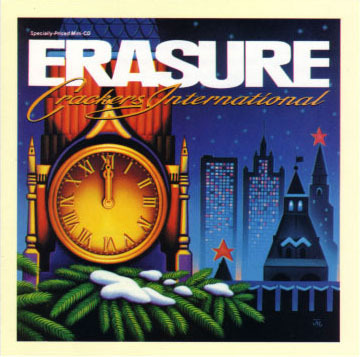 After kick-starting the career of Depeche Mode (he left after the first album), and then creating the template for the soulful electronic duo with Yazoo (and Alison Moyet), he struck a rich vein of pop success with Erasure. What sometimes gets left out of that story is this little gem. A one-off collaboration with Eric Radcliffe (a recording engineer and producer who worked with the aforementioned Depeche Mode, Yazoo and Erasure), it also marked the first post-Undertones appearance of one Feargal Sharkey. Sharkey would go on to have more success in the 80s, including a number one single with the Maria Mckee-written A Good Heart, before moving to the business side of the music industry. But for both Clarke and Sharkey this would remain a one-off recording (even the b-side was just a Clarke instrumental) that reached number 4 in the charts of late 1983. And so to the song sheet. There’s nothing too complicated about this, a regular set of chords repeated throughout. I’ve also tabbed the brief intro and the instrumental section, played on synth in the original but they work just fine on synth. Personally I’ve found this works best with a picked pattern rather than strummed, but as ever its up to you. Enjoy! 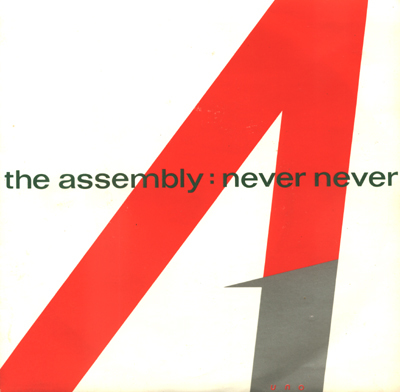 Categories: Pop, Post-Punk, Synthpop | Tags: 1980s, 1983, Synthpop, The Assembly, ukulele, Vince Clark | Permalink. Yazoo’s Only You seems to be a staple of ukulele groups. That’s not a bad thing – it’s a good song (as long as you can rid your minds of the Flying Pickets), but a little… …safe? …nice? Well following on from the synthpop theme of the last post, I thought it might be good to lob this one out there, just as a reminder that both Yazoo and Alison Moyet are somewhat more than that one song. It’s often forgotten that – at the time – Yazoo were real groundbreakers. Vince Clarke had just left Depeche Mode after their first album, and as the main songwriter in the band in those early days there were question marks over both their future, and what Clarke would do next. Few probably expected him to team up with an earthy blues vocalist like Alison Moyet, but in hindsight it seems such an obvious thing to do. Blending Clarke’s cold, precise synthetic keyboard and percussion sounds with a real, bluesy, soulful vocal, courtesy of Moyet, was a marriage made in heaven. And although it only lasted for little more than 18 months it set a template that has been repeated again and again ever since, not least in the diva sounds of dance and house music. Situation was one of those songs that showcased Moyet’s voice to the full (and she still sounds great now). 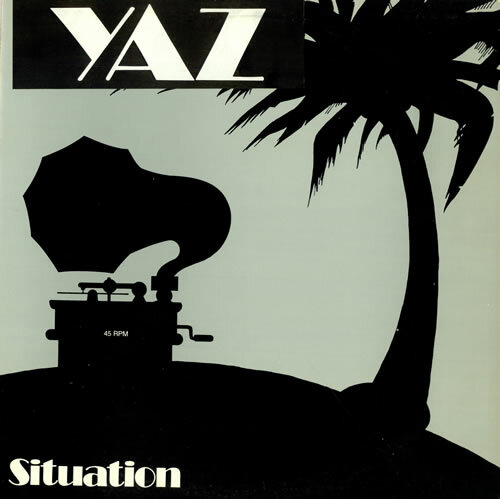 Widely acknowledged as a dance-floor classic, Situation was originally the b-side of Only You, appeared on the debut album Upstairs At Eric’s, and was a huge dance-floor smash in the US (number 1 in the dance charts). Listening to it now it sounds so familiar (not just itself, but in terms of the records that it has influenced) yet at the time it was like nothing else. The pulsating synth sounds and relentless percussion lay a foundation for Moyet’s rich, raw vocal. So perfect for the ukulele then?! Well, I think so. It definately needs some kind of funky or rhythmic strumming to give it legs, so it’s not one for the standard strumming brigade. But give it some feeling, preferably a nice soulful vocal on top, and you can really make this one fly. Here is an example of the kind of result you might get. The song sheet is probably more of a starting point than something to be slavishly followed – there’s plenty of scope here for lots of improvisation and arranging. Enjoy! Categories: Synthpop | Tags: 1980s, 1982, Pop, Synthpop, ukulele, Vince Clark, Yazoo | Permalink.